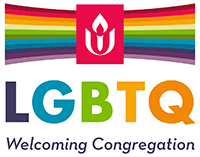 First Unitarian Church is an independent, self-governing organization. In addition to enjoying the various activities of the congregation, many members find fulfillment in helping to keep the church functioning. This is a great way to get to know people, to “give back” to the church community, and to develop skills. The Board of Trustees is the governing board of the church. Its seven members are elected to staggered three-year terms at the church’s annual meeting in May. At the annual meeting, the congregation elects a President and Vice President, who lead the board and conduct congregational meetings. The Religious Education Council works with the Director of Religious Education to guide the program of religious education for children and youth. The Social Justice Council coordinates the activities of the various social justice task forces. Its Chair is elected by the congregation at the annual meeting. The Concerts Team arranges for special concerts at the church. The Finance Committee oversees the financial management of the church, and prepares and implements the annual budget. The Pledge Team conducts the annual fund drive by gaining commitments from members and friends for the financial support of the church. The Property Committee oversees the maintenance of the physical plant. The Investment Committee manages the investment of the endowment. The Belonging Team helps visitors, friends, and new and mid-range members feel like they belong, and facilitates genuine engagement in our community. The Communications Committee manages the web site, puts out the monthly newsletter, places notices and advertising in the media, and debates ways to increase the visibility of the church. The Caring Committee organizes assistance to congregation members who are ill or otherwise in need.